Sun exposure has lots of benefits yet it also has some drawbacks. Especially in summer, you may harm your skin while trying to get enough vitamin D.
Most people think they can protect themselves only by using sun cream but it is not like that. Sun exposure triggers vitamin D production and has curative effect against psoriasis but if you get too reckless; sun exposure may form wrinkles on the skin, causes allergic reactions, makes your skin age prematurely and even cause skin cancer. For instance, this man above is 69 years old but half of his face has more wrinkles and looks much older than that. 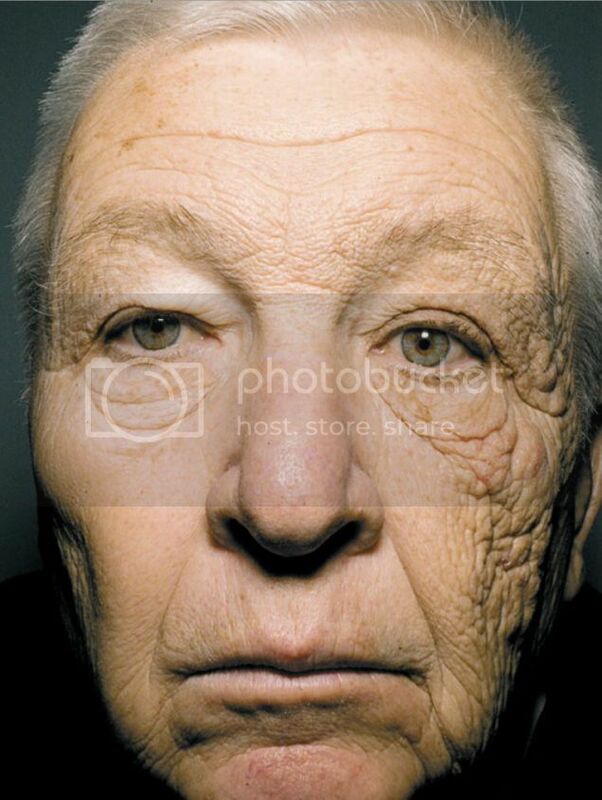 He was a trucker for 28 years and right side of his face received much more sunlight on the left side, resulting in premature aging. Do you think the result would have been different if he has used sun cream right before his trips? The aging process of the skin occurs in dermis and epidermis. As the sunlight hits your skin, fatty tissue under your skin decreases and this reduces the elasticity of your skin. As you exposed to direct sun, ultraviolet radiation, wrinkles on your skin grow in depth and abnormal pigmentation causes to form brown and red sunspots on your skin; in short, the sun accelerates skin aging. Most of us already know that we should avoid going outside around noon and they should prefer cotton clothes instead of synthetic products. We should also prefer sun creams with higher SPF (Sun Protection Factor) and some sun creams contain additives like perfume but these additives increase the formation of sunspots. In order to benefit full effect of the sun creams, they must be applied to the skin. Skin of our face is thinner and more fragile than the rest of our skin and even if we use sun creams, we may not able to fully protect it. Nose and lip areas are usually the most neglected areas on our face and these areas are more fragile than the rest of our face. It is not a coincident that the nose area is the popular place for freckles or sunspots. You may sun cream for your face and lip balm with sun protection factor (SPF) for your lips. SPF factor around 15 would be enough to protect your lips. Be sure to moisturize your skin just after sunbathing and drink at least 3 cups of water. You can prevent most of the sunspots and freckles just by covering your face while sunbathing. Previous PostIs Salt Water Good For Skin?